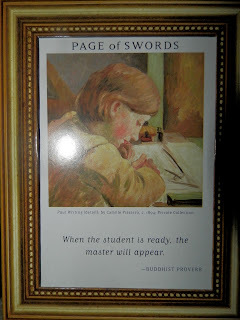 Today's Draw: Page of Swords from the Art of Life Tarot. What have you recently been a student of? Who or what was the master that appeared to teach you? If you had to be your own master for a situation going on in your life right now, what would you teach yourself? 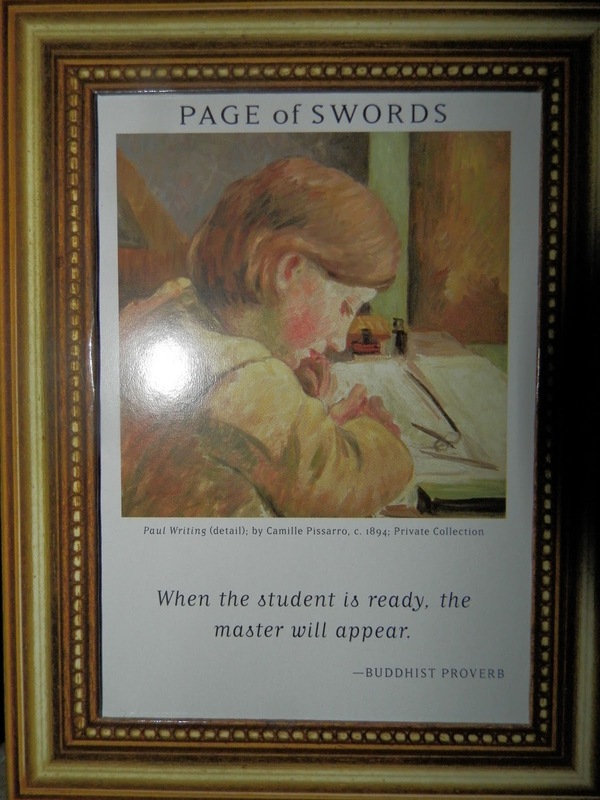 The quote on the card says "when the student is ready, the master will appear." I've heard that saying a million times, but only tonight did it first occur to me that "the master" isn't necessarily a person. It could be a situation. Or a realization. Or even yourself. Not that long ago, I had an interpersonal conflict. For the most part, the conflict occurred all in my head. It was a situation where I felt taken for granted. And while thinking it all through, I had a moment of clarity in realizing that most of the issue was created by me and my insecurities. So the other person's part wasn't nearly as big as I had made it in my head. Because everything happened in my head, "the master" was both the situation and me. Really the other person wasn't even involved. My own idiocy made me ready to learn. And my own wisdom schooled me. Now that I'm more aware of my tendency to do stuff like this, I'll be less likely to let situations go so far in the future. Anyway, I thought the idea of being your own sensei was a pretty cool one. What lessons have you taught yourself?